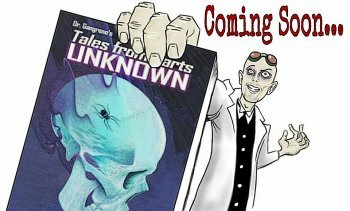 Your short story anthology Dr. Gangrene's Tales from Parts Unknown - how would you describe it in just a few words? It�s an anthology featuring 14 stories of the weird, strange, and macabre, all hosted by my alter-ego, mad scientist Dr. Gangrene. People probably know you first and foremost as horror host Dr. Gangrene - so what got you into writing in the first place? Fiction is something that I was always interested in, I just never had the time to devote to it while shooting and producing the TV show. I do write with a blog regularly, and have been a columnist for Scary Monsters Magazine for years as well, so I�ve done a ton of non-fiction work. When the latest run of the program (Dr. Gangrene Presents) ended, I thought it was the perfect opportunity to turn my creative energies toward fiction writing. Since you have written an introduction to each of your stories as Dr. Gangrene - where's the line between yourself and that other you? I kind of struggled with whether to included Dr. Gangrene in this book at first. But the more I thought about it the more sense it made to build off the Dr. Gangrene brand. I met an artist named William C. Cope at last year�s Rondo Awards. I won a Rondo for Best Blog, and he won one for Artist of the Year. He is a fellow Tennessean, lives about an hour from me. One day he sent me a killer illustration of Dr. Gangrene that he did just for the heck of it. I loved it, and at that moment everything kind of clicked. I decided to use that illustration along with the intros for the stories. It really tied everything together perfectly. Since all of the stories in Dr. Gangrene's Tales from Parts Unknown are horror stories to some degree, how would you describe your approach to horror as a writer? I am a big fan of the old Weird Tales books from the 40s and 50s. Writers like H.P. Lovecraft, Robert Howard, Robert Bloch, Clark Ashton Smith and Manly Wade Wellman. Some of the most creative and entertaining horror fiction of all-time was printed in pulp magazines of that time. That is very much the type stories I tend to write, and the sensibility I try to bring to my stories. Quite a few of your stories are of the "weird western"-variety - you just have to give a more detailed description of this subgenre to the uninitiated! Think Clint Eastwood westerns with a horror overtone. The West was such an untamed time, so much of the world was still undiscovered and mysterious. Superstitions abounded, and I find that period ripe for horror tales. As Dr. Gangrene, I'm sure you had many a trashy movie in your program - so have they at all influenced your writing? And other sources of inspiration for Dr. Gangrene's Tales from Parts Unknown? Definitely! We�re all influenced by our surroundings, and a constant diet of decades-long gorging on horror films is bound to have some influence. 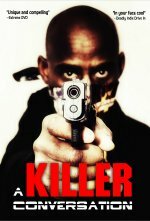 I know at least one of these stories has been written into script format and my partner in grime Cameron McCasland [Cameron McCasland interview - click here] plans to shoot it. I have another story (not in this book) that I wrote in script format first, then later as a short story. So it�s worked in both directions. Anything you can tell us about audience and critical reception of your book yet? So far - so good. 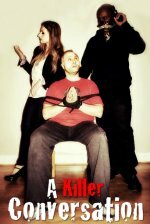 The people I�ve gotten feedback from have all been positive and it�s been compared to the Twilight Zone, EC Comics, Tales from the Crypt, Alfred Hitchcock stories and Weird Tales. Pretty good company to keep right there! Will you ever publish any more books, and/or where can one read more of your stories? Definitely. I will probably put out a second volume of short stories, and I have a few non-fiction things in the works as well. Folks can follow me at larrywunderwood.com and my blog, drgangrene.blogspot.com. (Other) future projects you'd like to share? I�m working on a novel right now, a story that is kind of a cross between a heavy metal horror film and the Vincent Price film Theater of Blood [Vincent Price bio - click here]. 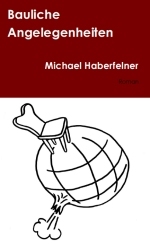 It is another story I wrote out in film script format first, and am now adapting into book form. Folks can find me on Facebook and my website is larrywunderwood.com. The blog is drgangrene.blogspot.com. @drgangrene on Twitter. Thank you for the opportunity! I appreciate it!